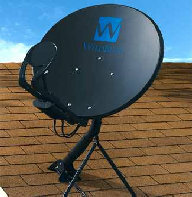 WildBlue offers you high-speed Internet access via satellite to almost every corner of the U.S.! Imagine “always on”, lightning fast connections to the Internet. No more dialing in. No more delays. No more wondering if high-speed Internet will arrive in your town. Get connected the way you’ve always wanted to: fast. Click here to Get WildBlue. WildBlue is lightning fast. Get download speeds up to 1.5 Mbps and upload speeds up to 256Kbps.WildBlue is available to virtually every home and small office in America. 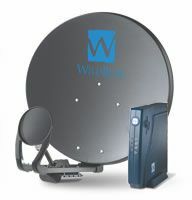 With packages as low as $49.95 per month, WildBlue is very affordable. All of your ISP services like email and web space are included. Get this great value in wireless broadband today! available mounting surfaces. 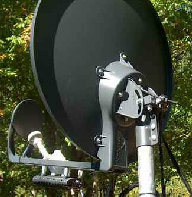 Pole mount is where the dish is mounted atop a stand-alone pole in your yard.